For the next 5 years I would continue to experience the ups and downs that go with fighting cancer. I would seek the help of 6 different “expert doctors” looking for answers. No one had any solutions other than more cut / poison / burn treatments. Each of the 3 times I received the radioactive iodine treatments (RAI) my doctors would tell me that this time should be the last. But with each treatment that was meant to make me well, I would sink further and further into sickness that sucked the life out of me. Literally…. After my last RAI treatment in 2005, I was so sick. I did not recover my energy and continued to suffer from lingering symptoms of the “side effects”. I vowed this was the last time I would do this to my body. I knew deep down there had to be a better way. Why did my cancer keep coming back? Why were some able to heal and others were not? This is where my quest to find answers began. I read hundreds of books, and eventually found a holistic doctor to help me heal naturally. I would learn about hormone balancing, detoxification, chelation from heavy metals and most importantly the importance of a healthy diet to nourish the body so that my own immune system could take over and eliminate the cancer. I found the abundant life that should have been mine years before. In 2007, I returned to school to become a naturopathic practitioner and graduated in 2010. 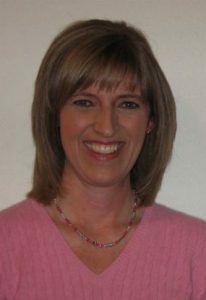 I completed the health coaching program at the Institute for Integrative Nutrition in July 2010. My passion is to educate and equip others to find their abundant life. My greatest reward is in seeing the true joy my clients achieve from living each day as it was intended to be….. in complete health.